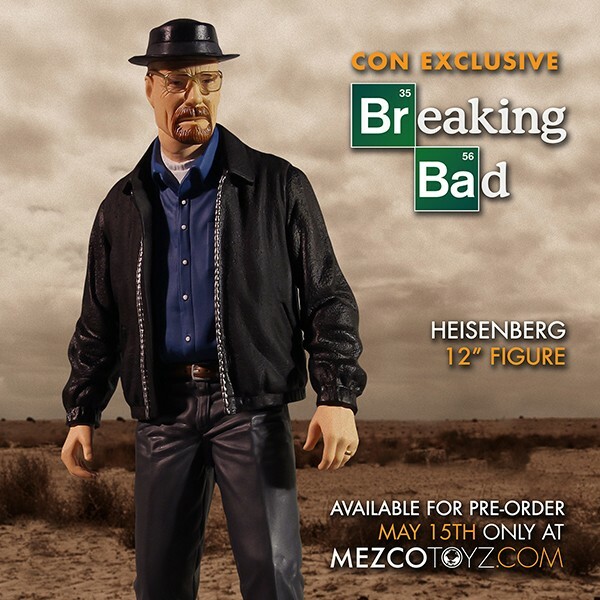 Only a limited number of these figures are available, so get yours while you can May 12th at MEZCOTOYZ.COM! Don’t delay because once they are gone, they are gone forever! 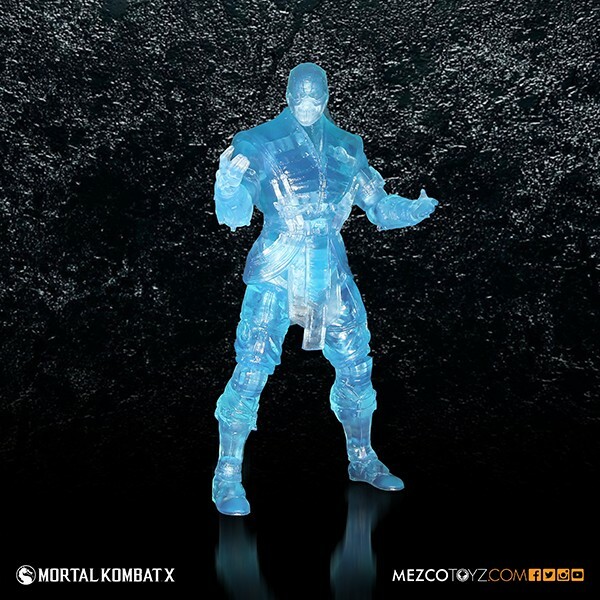 Mezco has posted the product page for the SDCC Exclusive Ice Clone Sub-Zero. 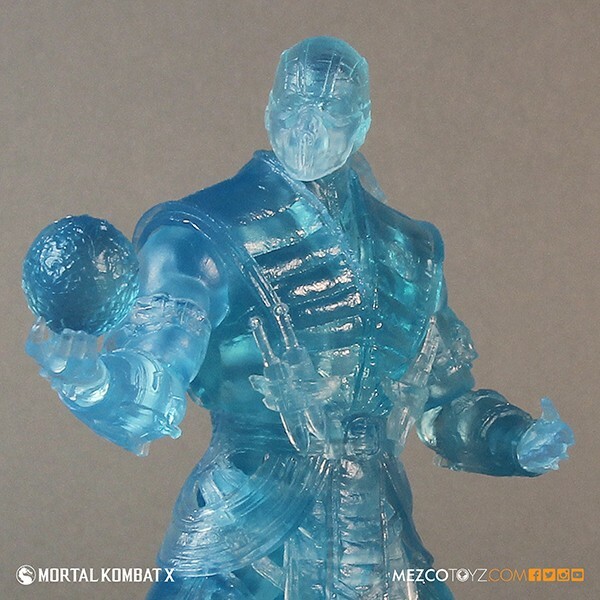 The figure will be priced at $30. Pre-orders go live on May 12th. We have mirrored the new images. See the Ice Clone Sub-Zero photos after the jump. That's cool. 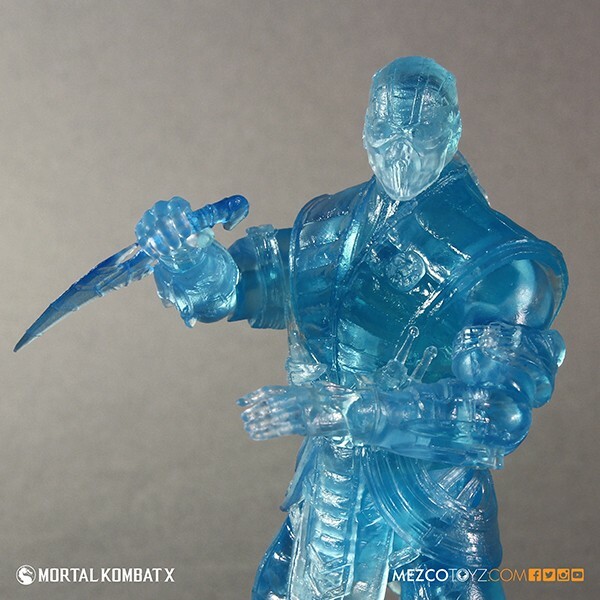 I hope to see some pics of the regular Sub-Zero figure "throwing" this one. 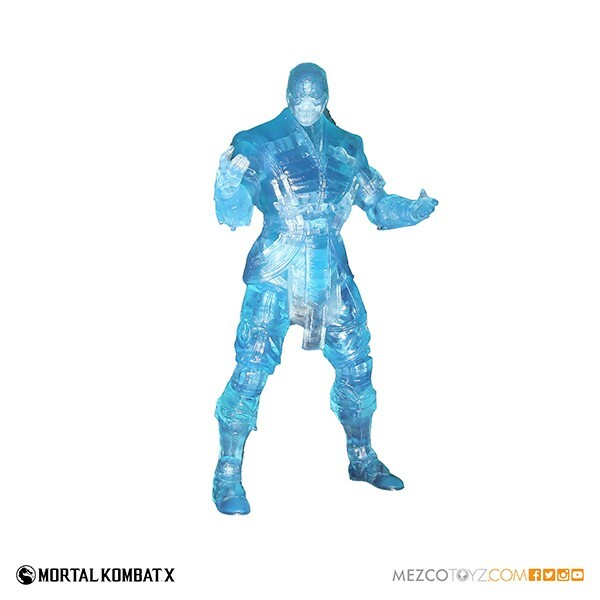 It's cold-snap Sub-Zero again! 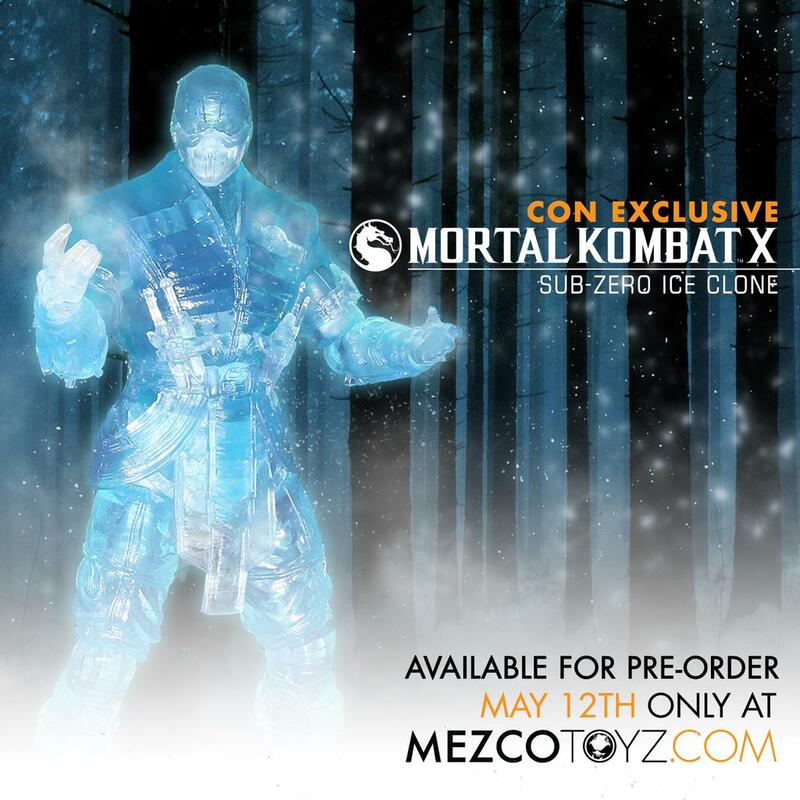 I'm not gonna bother with this, what with it being a SDCC exclusive and all, but I am kinda sure that I'll get the regular Sub-Zero over the cryomancer/blue skin version. 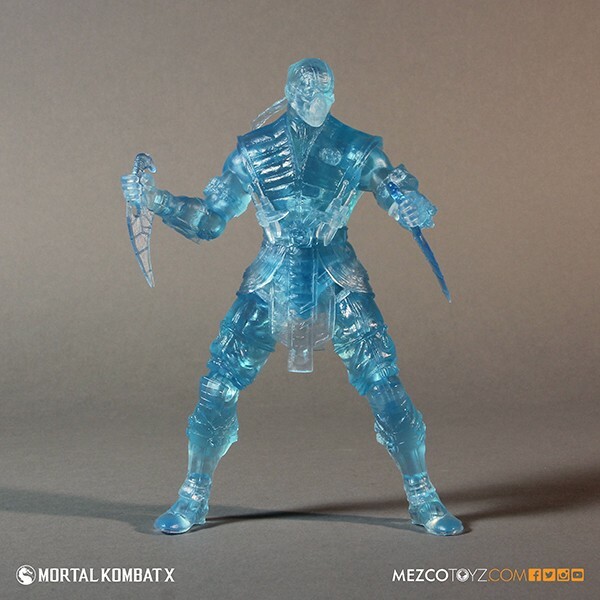 Are these going to ship from Mezco, or is this a pre order and pick up at SDCC? At work, skimmed the page but didn't see any clarification. As far as I can tell, the product page doesn't specify. It would be nice if we could get some clarification. Tried preordering 2, but $22 for shipping, thats ridiculous. That's cost for another figure! Just might cave as this is too badass to pass up! Love Batman's new facial expression, but wish it came without the battle damage. Maybe next time. That set looks awesome! Hope I'll be able to snag a pre order. Some of those pics are sweet! 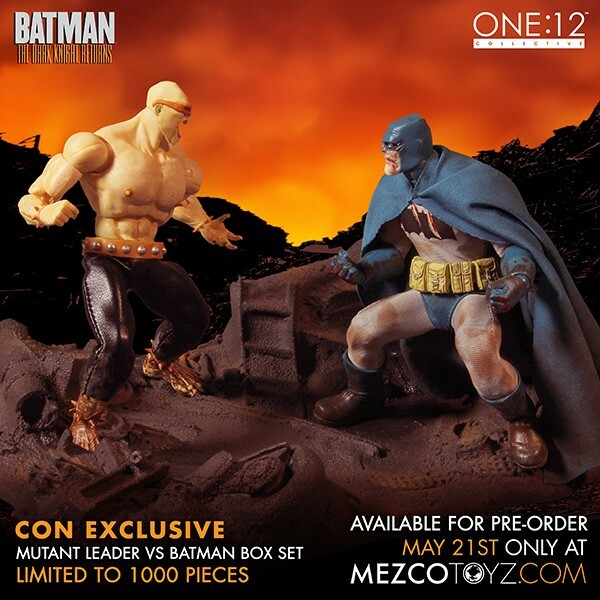 If you want one of the Mezco SDCC Exclusive Dark Knight Returns Deluxe Boxed Sets, I would grab it today. Looks like a great set. 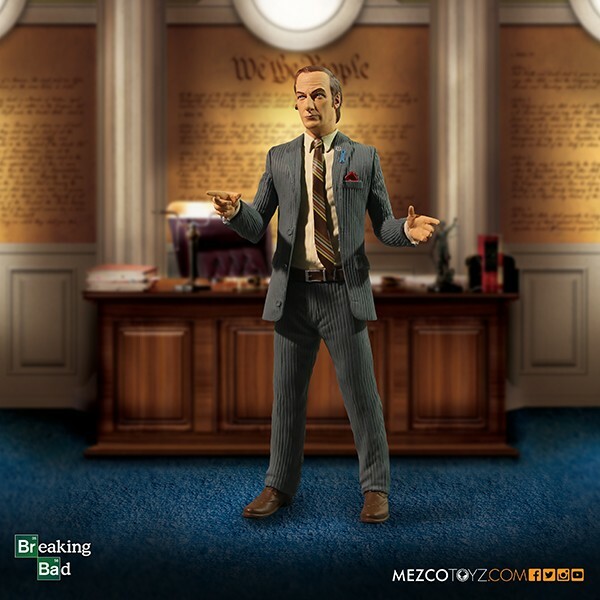 There are only 36 left on MezcoToyz.com at the time of this writing. 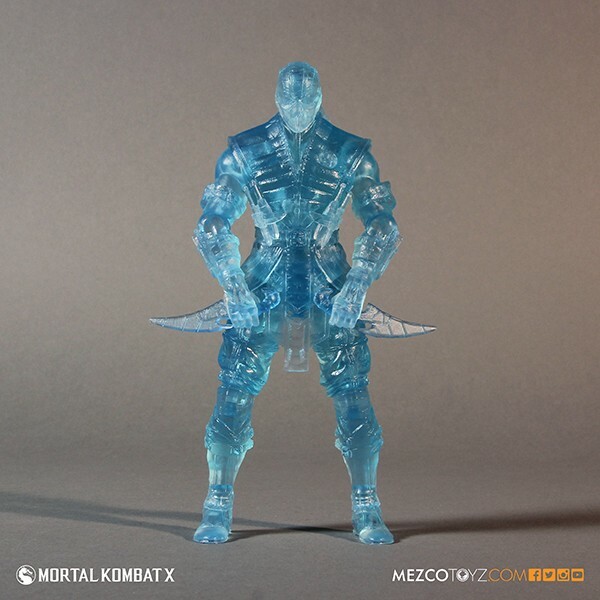 Not sure how many they put up for preorder initially, but with just 1,000 being made and your next chance not being until SDCC (if you are going), this will probably be your last chance. That DKR set looks excellent!